There’s been no changes atop the table for new business wins for the month of October with MediaCom retaining the number position for media and Isobar claiming most creative wins among the Aussie agencies. 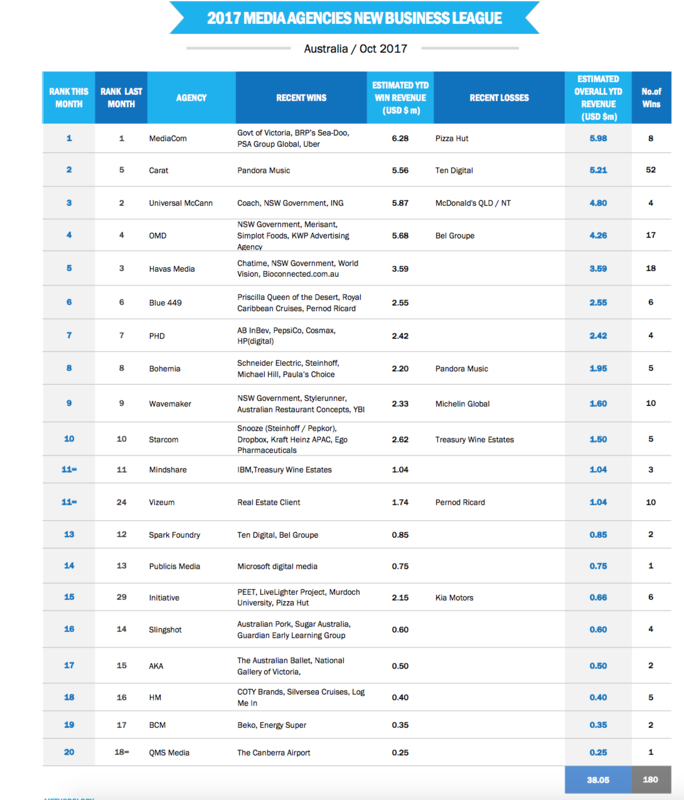 The monthly data by digital marketing firm R3 (see the full lists below) show little change over the past month for either media or creative. Behind Isobar, Ogilvy held on to second spot, DDB stayed in third position, McCann was up four spots to fourth, and The Monkeys rounded out creative’s top five. 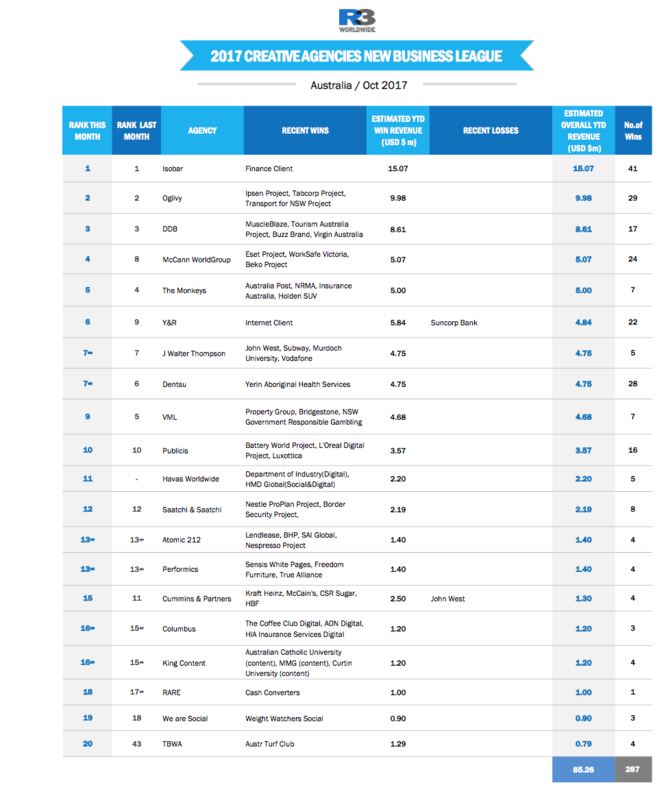 For media wins, MediaCom was first, followed by Carat (up from five), Universal McCann (down one spot), OMD held onto fourth, and Havas rounding out the the top five.